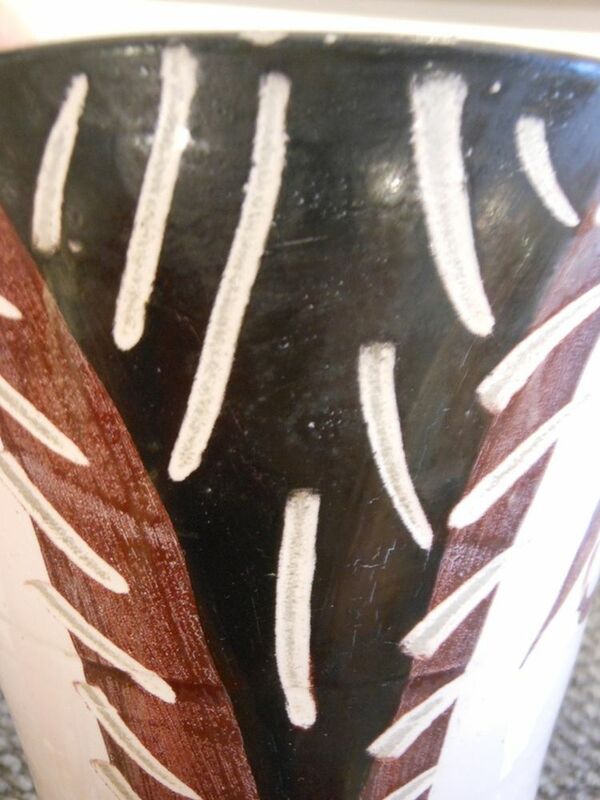 Maroon/Black Wood-owl, 1952, edition of 100 (Ramié, 134). 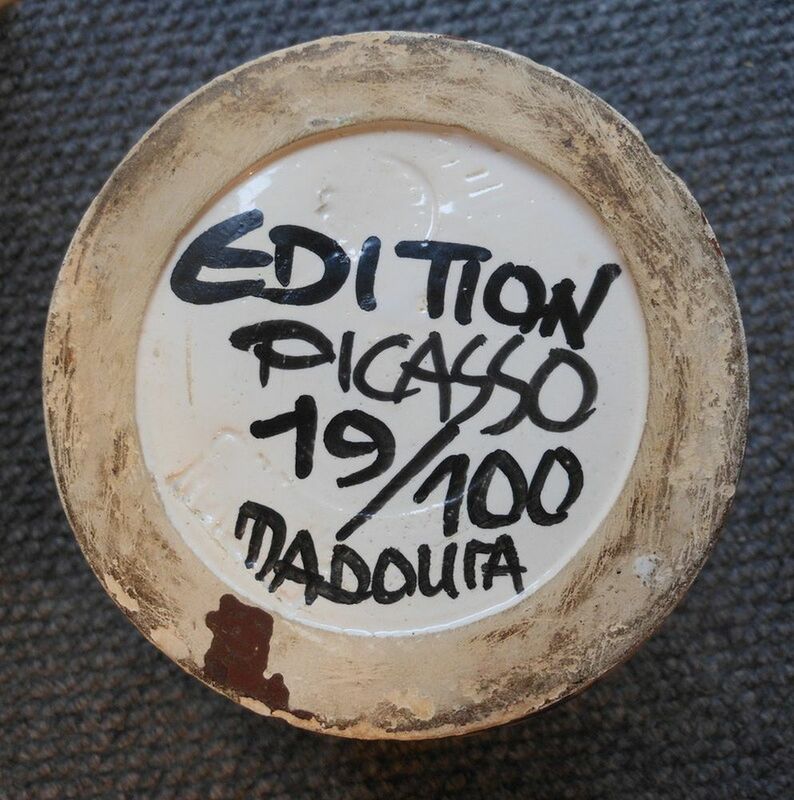 Inscribed "EDITION PICASSO 19/100 MADOURA" on the bottom, stamped "EDITION PICASSO" on the reverse. 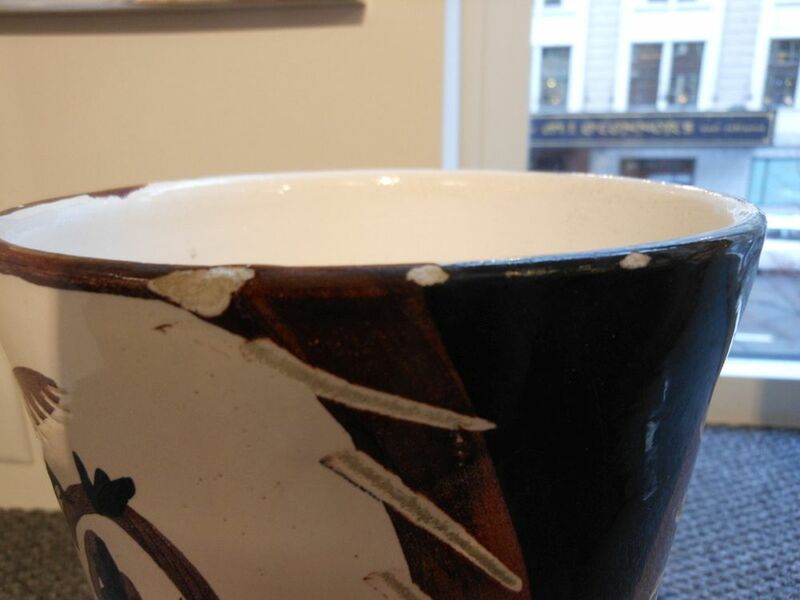 Turned white earthenware vase with knife-engraving, oxides, enamel, and glazes, height 11 1/2 in. (29.2 cm). 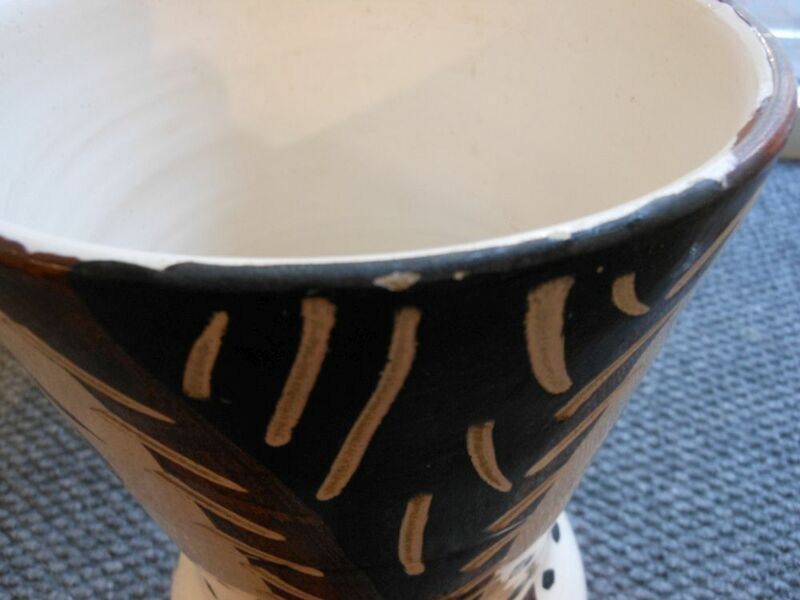 Condition: Minor soiling, minor chips to rim and edge of base.